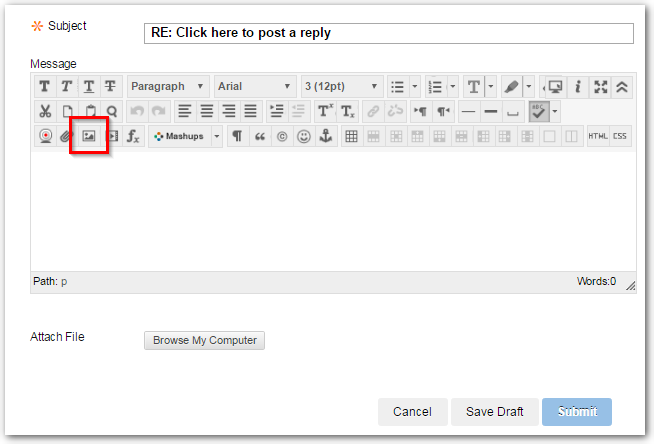 To embed an image directly within a text area, follow the instructions in this article. Ensure the visual editor is full-expanded, displaying the advanced tools. If it is collapsed, click the double-chevrons on the right side of the visual editor. 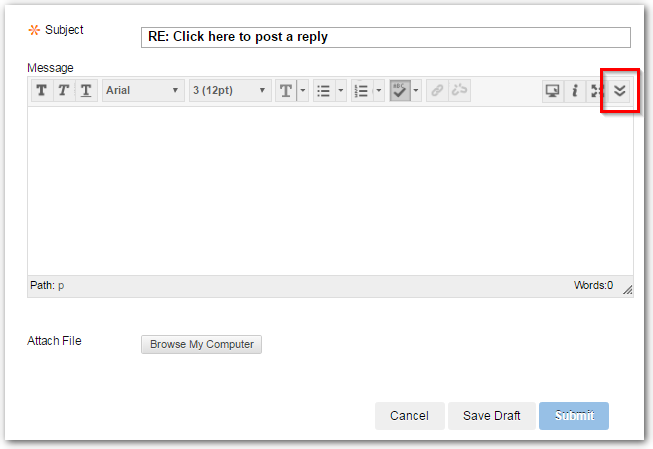 Next, click the Insert/Edit Image button in the third row of the editor. This will launch a pop-up window. On this pop-up window, click the Browse My Computer button and locate the image on your computer that you wish to embed. Enter an Image Description and Title. You may receive an error if you do not complete these fields. Click the Insert button at the bottom of the pop-up window (2 in the image above). 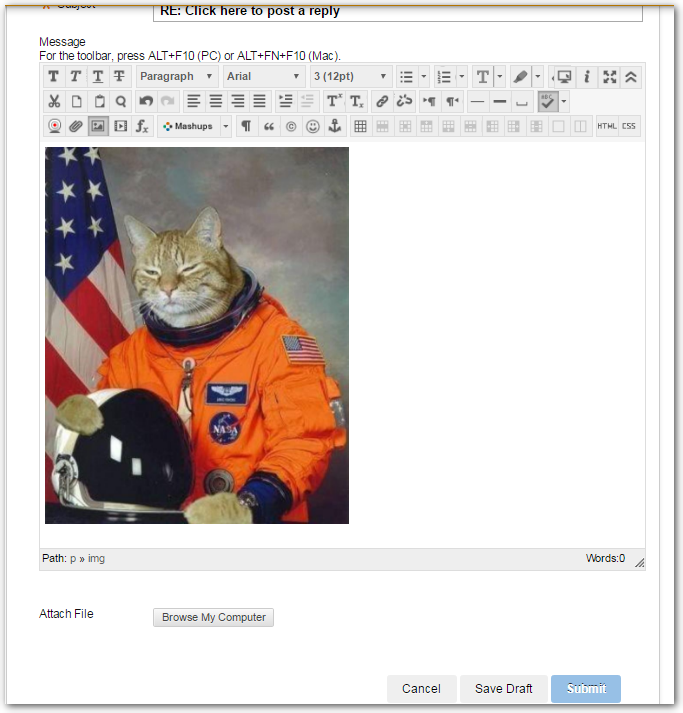 This closes the upload pop-up window and inserts your chosen image into your forum's text entry area. Complete the post by clicking the Submit button. Your image will be embedded and displayed within your post. 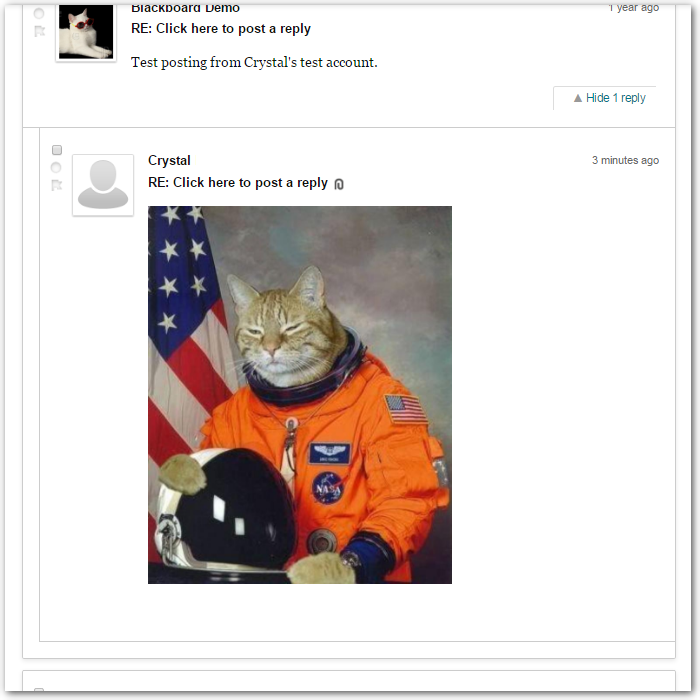 Note: Please note that large images can slow down the performance of the discussion board for users on slower internet connections, potentially causing issues for other users accessing discussion board forums.